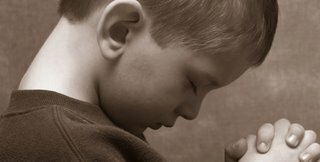 God has a soft spot for children as seen in Jesus’ counter-cultural attention to children. As I have looked at every verse I can find in the Bible about children, it is clear that God speaks unequivocally positive about children. If you are involved in Children’s Ministry, you are involved in a ministry that is close to the heart of God! As I looked at every verse in the Bible I could find about children, what was even more clear than God’s love for children was the sheer quantity of verses that call parents to raise their children to know and love God. The Bible speaks loud on this: parents are called to be the primary disciplers in their children’s lives. The church should support, encourage, and equip parents, but never usurp their God-ordained role. How that looks in each church context will be different, but if you are involved in Children’s Ministry, do you communicate with the parents in a way that recognizes them as the primary disciplers? Children’s Ministry is a ministry of evangelism! Teaching children is probably the greatest evangelistic opportunity in any church in terms of the quantity of people within a ministry that are unsaved. Don’t assume that all of the kids are saved, even if most of them come from Christian homes and have been coming to church for years. Constantly press the truth of the Gospel and their need for Christ upon their hearts and minds. For those who don’t come from Christian homes, hearing the Gospel from you may be the only time they ever do. We have an amazing opportunity in Children’s Ministry to teach children God’s Word. I love talking to my son about Sunday School, seeing that things my wife and I have taught him are being reinforced or expanded. I love seeing children from the community hear the Bible for the first time. In every lesson that you teach, ask yourself if two things are present: Is the character of God taught correctly? Is the Gospel presented or is it tied in? The main character of the Bible is God! If they’re in awe of God (who God is and what He does as taught in the Bible), they will want to know Him (the Gospel). We should have a radiant attitude of servanthood in Children’s Ministry as we serve families, interacting with kids and encouraging parents. Both children and parents will pick up on this Christ-like attitude. In most churches, there is probably no greater chance to serve the church in the number of opportunities available than in Children’s Ministry. Jesus cared for people as individuals–He had no one system of discipleship. God hard-wired children with imagination and a bent towards fun and energy, so if you are involved in Children’s Ministry, you must have fun! Think of the condescension of Christ: He went from Heaven to earth; He became flesh and dwelt among us (John 1:14). Certainly we can condescend to the children we teach by having fun with them, using our imagination with how we teach while still being ruthlessly Bible and Gospel-centered, and thinking hard about our word choices as we teach them. Previous PostPrevious “And in Despair I Bowed My Head: ‘There is No Peace on Earth,’ I Said”?